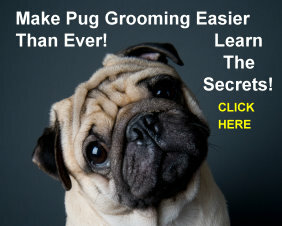 Pug Skin Care is often overlooked by many owners. But, do you see those wrinkles that give your Pug that distinctive, sometimes worried look? Those wrinkles that add so much to the appearance of your Pug can be a source of problems. There are certain things to look for and signs of trouble that all is not perfect for your furry little friend. If the wrinkles on your Pug are tender to the touch or reddened you probably have a Pug skin care problem that needs attention. If it is reddened or damp or has an odor, there usually is something that needs to be taken care of. As cute as those wrinkles are, they can trap dirt and bacteria very easily. The answer may be as simple as cleaning the area on a regular basis. This is done best with a cotton ball that has been moistened with a solution of 2 percent hydrogen peroxide. Do not be surprised if your Pug resists this and it actually may hurt or sting especially if there is a lot of tenderness. After cleansing the area dry it with a gauze pad and then apply a thin coat of antibiotic ointment. If you are not comfortable doing this yourself a good dog groomer can help you with this. If you see signs of a wound you will want to contact your veterinarian. You will want to learn to be able to do this yourself, however, because you will need to repeat the process every ten to twelve hours until the condition goes away. After three or four treatments, if the condition is not getting better, you should consult your veterinarian. Examining your Pug is part of any good Pug Skin Care program. The skin should have a smooth texture and be pliable. If you grasp a fold of skin and lift upward, it should snap back to normal immediately after release. If it goes back slowly, more than two seconds, or stays in that position your Pug may be dehydrated and you should consult your veterinarian immediately because this can be very serious. Always have a supply of clean water available for your Pug. Ectoparasites live on and within the skin of your Pug. These include ticks, fleas, lice and mites and examination for these on a regular basis should be a part of any Pug Skin Care program. Fleas, of course, are extremely common and should be treated immediately if discovered. They are more than an annoyance because their bites can cause serious inflammation and may lead to infection. There are a host of wipe on products that are applied to the skin of your Pug that can be very effective. Make sure you read the label and use a product tailored for the age and weight of your Pug. 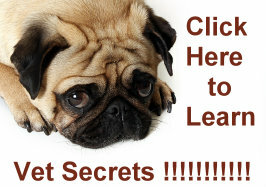 There are also some excellent Pug Skin Care Information available. As mentioned, many over the counter treatments will work well for fleas and lice but, if the problem is persistent or serious, you may want to do further research on prevention or consult your veterinarian for a serious condition. Pugs can get acne as well. It is mostly seen when the Pug is about six months old. The lesions can be treated with a two percent solution of hydrogen peroxide. The condition will usually go away after about a month or two. Consult your physician if it doesn’t or if it is a serious case. One of the more troubling skin irritations is a tick. Checking for ticks and fleas, as we mentioned, should be a part of any preventive Pug Skin Care program. Any sign of a tick should be treated immediately because it can lead to other conditions such as tick fever, paralysis or Lyme disease. You can remove the tick yourself if you are careful and your Pug will let you. It’s best done with tweezers after applying alcohol to the area first. Use latex gloves and never handle the tick with your bare hands. Drop the tick into a vial of alcohol rather than throwing it into a wastebasket or burning it. After the tick is removed clean the area with alcohol or a two percent hydrogen peroxide solution for a few days to prevent infection. 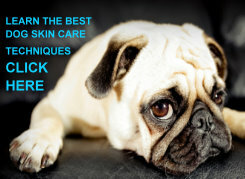 Pug Skin Care is part of your Pug’s overall health care program. You should always consult with your veterinarian when you have any questions.